RENÉ RIVERA IS A SLIGHT, CASUALLY COMPOSED seventy-four-year-old Nuyorican in thick glasses. He’s so inconspicuous as to stand out: It took three days of encountering Rivera in plain clothes during the “LIVE FILM! JACK SMITH! 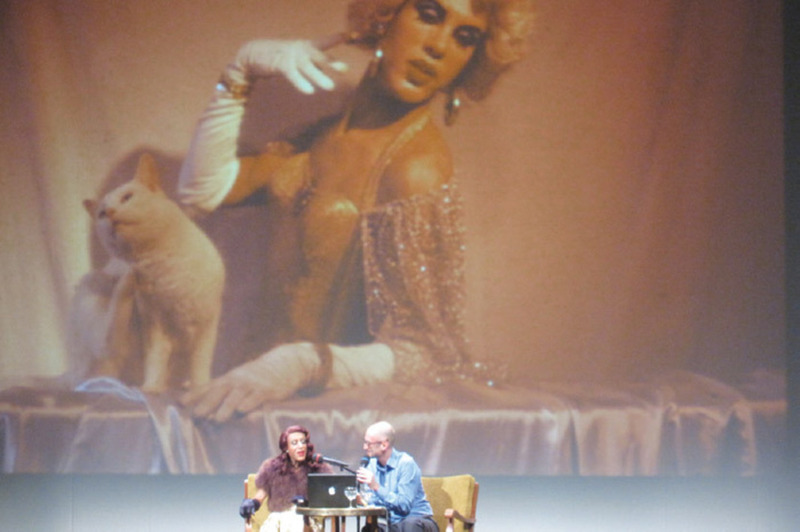 Five Flaming Days in a Rented World!” conference in Berlin this past fall before I realized he was also Mario Montezthe enchanting icon who had already appeared multiple times onstage in performance, strikingly refurbished in brunette wig and soigné gloves, shrugs, and gowns. Montez, star of Jack Smith’s two most significant films, Flaming Creatures (1962–63) and Normal Love (1963–65), participated variously in the conference as audience and cynosure, living the trembling border in between.